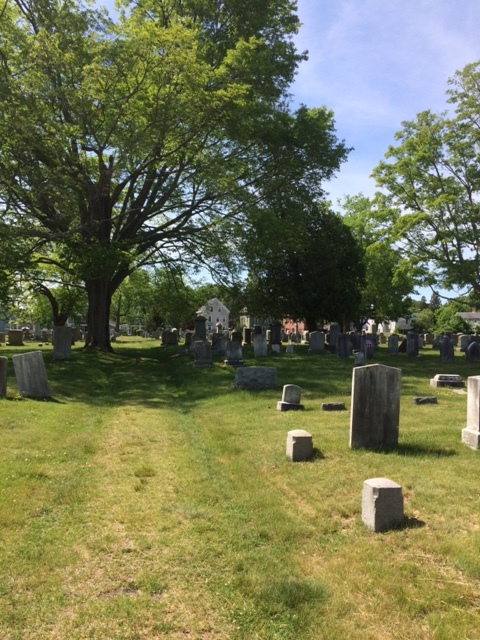 Today I walked through a cemetery on my way to work. I walked through rows of stones with the names of individuals and entire families. Some stones were grand and ornate. Others small and simple. Some hundreds of years old could still be read. Other stones were worn smooth, the names of the dead no longer legible. I wonder about the purpose of such stones. To immortalize us? To provide a place for people to grieve, remember and perhaps find comfort? Yes. Yet we know that in time we will be forgotten. Those who gather to grieve our passing in time will also pass. For some reason I find this comforting. To know that we are not immortal is to insert into our lives a dose of humility. The world does not revolve around you and me. Once we are gone the world will continue to spin and people will live their lives. Our achievements will be forgotten. Our mistakes too. Being aware of our own mortality allows us to set aside grandiose thinking and to live more fully in the present. To be more gentle with ourselves and with others. Humility can allow us to accept and savor the gift of being alive. In Buddhist teaching this is ‘living in the now’, being fully immersed in the present. With permission we paddled to an island that was a burial site with totems. Each totem told the story of a member of the tribe. Some were large. Others small. 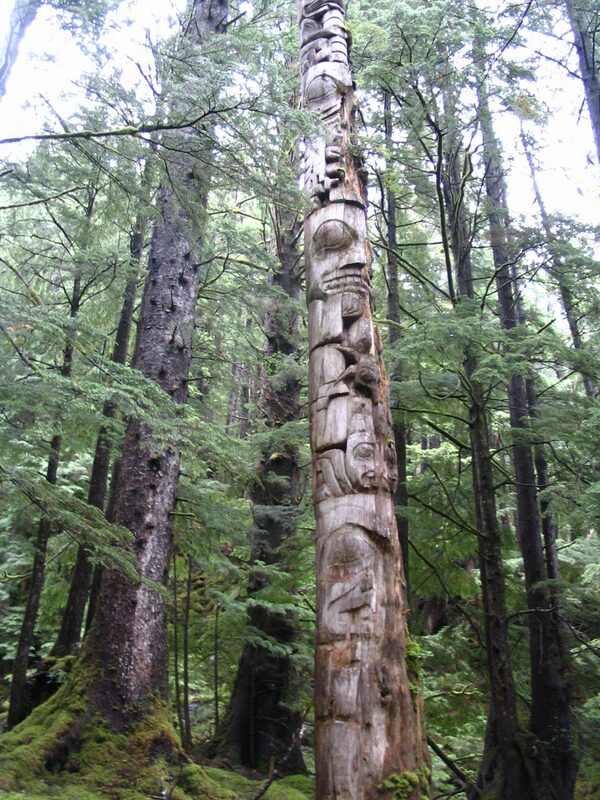 Clan affiliation and achievements were carved into each totem. The totems still standing were approx. 100 years old. Others lay on their side. Each totem was rotting away in the wet, relentless weather of the Pacific Northwest. No effort was made to protect or preserve the totems. Each was built to last a few generations and then simply rot and return to replenish the earth. The Tlingit believe that no one is remembered for more than a few generations. The impermanence of the totem teaches this lesson. Yet the Tlingit believe that while life on earth is impermanent, in death they return to their Creator. As a Christian I believe something similar. I don’t believe that when I take my last breath that it will be the end. I believe (as with the Tlingit) that I too will return to the source of all that is good, lasting and true. My tradition teaches that not even death can separate us from the love of God. In the meantime, my walk through the cemetery reminds me not to take myself too seriously. To savor this moment of being alive. To do as much good as I can while I can. To know that this too shall pass.